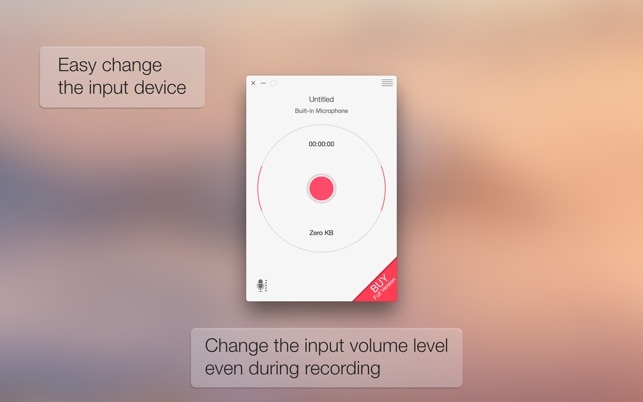 Recordam, an elegant and easy-to-use application, help you easily create, store, playback and share audio recordings. Recordam Lite is designed as a free viewer for Recordam documents. 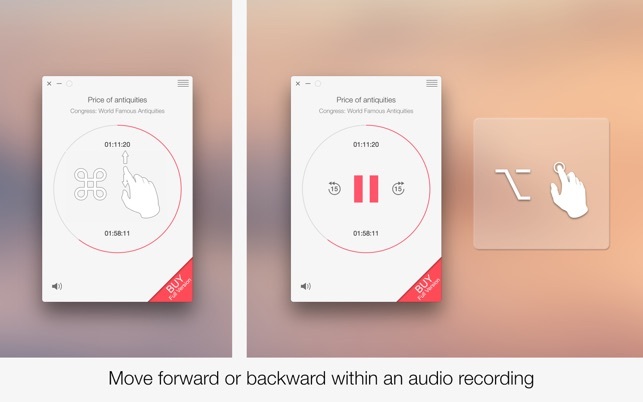 Moreover, Recordam Lite allows you to create small audio notes, no more than 12 minutes each. For unlimited recording, upgrade to full Recordam. Get quick and easy access to all of your audio recordings using the Library view. • Import an unlimited number of Recordam documents. 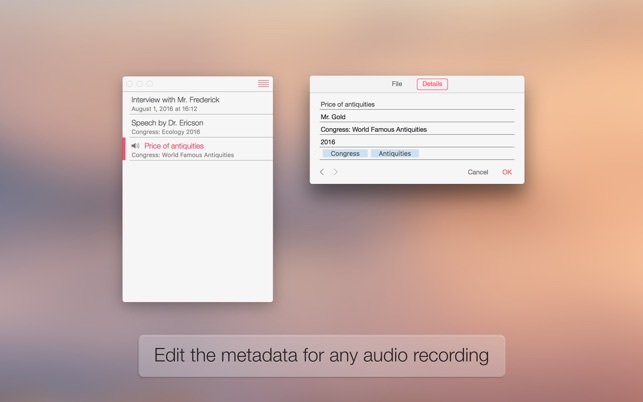 • Add audio recordings to iTunes or export it to disk in a few clicks. • Add author and subject tags for each audio recording using built-in Inspector.